Dear Readers: Often when I talk about the importance of a financial plan, I see people start to squirm. There's something about the topic that makes them uncomfortable. When I dig a little deeper to find out why, two reasons regularly come up: Either people don't think they have enough money to warrant a financial plan or they think a financial plan costs too much. And no matter how often I try to debunk these myths, it's hard to change someone's preconception. It's a challenge for sure, but I'm such a firm believer that everyone needs a financial plan that I'm going to give it another try by showing you how you can actually be your own financial planner. It doesn't require that you have a lot of money — and it doesn't have to cost you a penny. If you're willing to spend a little time, you can actually do it yourself. Here's how. 1) Write down your goals. One of the first things a financial planner would ask you is: What do you want your money to accomplish? So that's the first thing you should ask yourself. What are your short-term needs? What do you want to accomplish in the next five to 10 years? What are you saving for long term? It's easy to talk about goals in general, but get really specific and write them down. Which goals are most important to you? How much will you have to save to achieve them? Identifying and prioritizing your goals will act as a motivator as you dig into your financial details. 2) Create a net worth statement. Achieving your goals takes understanding of where you stand today. To find out whether you're being realistic, you need to know what you have. First, make a list of all your assets — e.g., bank and investment accounts, real estate, and valuable personal property. Now make a list of all your debts; think mortgage, credit cards, student loans — everything. Subtract your liabilities from your assets and you have your net worth. If you're in the plus, great. But it's not at all uncommon for those just starting out to be in the minus. However, it does point out that you have some work to do. Whatever it is, you can use this number as a benchmark against which you can measure your progress. 3) Review your cash flow. Cash flow simply means money in (your income) and money out (your expenses). How much money do you earn each month? Be sure to include all sources of income. Now look at what you spend each month, including any expenses that may come up only once or twice a year. Do you consistently overspend? Do you often have extra cash you could direct toward your goals? 4) Zero in on your budget. Your cash flow analysis will let you know what you're spending. Zeroing in on your budget will let you know how you're spending. Write down your essential expenses, such as your mortgage, insurance, food, transportation, utility and loan payments. Don't forget irregular and periodic big-ticket items, such as vehicle repair/replacement costs, out-of-pocket health care costs and real estate taxes. Then write down nonessentials — restaurants, entertainment and even clothes. Does your income easily cover all of this? Are savings a part of your monthly budget? Examining your expenses helps you plan and budget when you're building an emergency fund. It will also help you determine whether what you're spending money on lines up with what is most important to you. 5) Focus on debt management. Debt can derail you, but not all debt is bad. Some debt, such as a mortgage, can work in your favor, provided that you're not overextended. It's high-interest consumer debt, such as credit card debt, that you want to avoid. Try to follow the 28/36 rule, which suggests that no more than 28 percent of pretax income should go toward home debt and no more than 36 percent should go toward all debt. Look at each specific debt to decide when and how you'll systematically pay it down. 6) Get your retirement savings on track. Whatever your age, retirement saving needs to be part of your financial plan. The earlier you start the less you'll have to save each year. You may be surprised by just how much you'll need — especially when you factor in health care costs. But if you begin saving early, even a little bit can make a big difference over time. Calculate how much you will need, and contribute to a 401(k) or another employer-sponsored plan or an individual retirement account. Save what you can, and gradually try to increase your savings rate as your earnings increase. Whatever you do, don't put it off. 7) Check in with your portfolio. If you're an investor, when was the last time you took a close look at your portfolio? (And if you're not an investor, think carefully about becoming one!) Market ups and downs can have a real effect on the relative percentage of stocks and bonds you own — even when you do nothing. And even an up market can throw your portfolio out of alignment with your feelings about risk. Don't be complacent. Review and rebalance on at least an annual basis. 8) Make sure you have the right insurance. Having adequate insurance is an important part of protecting your finances. We all need health insurance, and most of us also need car and home insurance. While you're working, disability insurance helps protect your future earnings and ability to save. You might also want a supplemental umbrella policy, depending on your occupation and net worth. Finally, you should consider life insurance, especially if you have dependents. Review your policies to make sure you have the right type and amount of coverage. 9) Know your income tax situation. The Tax Cuts and Jobs Act of 2017 changed a number of deductions, credits and tax rates. For instance, though personal exemptions have been eliminated, standard deductions have increased significantly, making it less likely that you will need to itemize deductions such as charitable contributions and mortgage interest when filing. Now would be a good time to review your withholding, your estimated taxes and any tax credits you may have qualified for in the past. The IRS has provided tips and information at https://www.irs.gov/tax-reform. Taking advantage of tax-sheltered accounts, such as IRAs and 401(k)s, can help you save money on taxes. You may also want to check in with your accountant. 10) Create or update your estate plan. At the minimum, have a will — especially to name a guardian for minor children. Also check that beneficiaries on your retirement accounts and insurance policies are up-to-date. Complete an advance health care directive and assign powers of attorney for both finances and health care. Medical directive forms are sometimes available online or from your doctor or hospital. Working with an estate planning attorney is recommended to help you plan for complex situations. To me, a financial plan can be especially important if you don't have a lot of money, because it can help you get on the path to greater financial strength. Think of it like a road map. Whether you need to reduce spending and debt, up your savings or just refine the details, once you know where you are and where you need to go, you'll have a sense of direction. Then commit to moving forward. A financial planner can help you build on your work if you want additional guidance, analysis and direction. And if the time comes when you do enlist the help of a professional, you'll be that much further along. 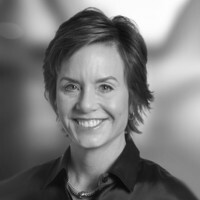 Carrie Schwab-Pomerantz, Certified Financial Planner, is president of the Charles Schwab Foundation and author of "The Charles Schwab Guide to Finances After Fifty." Read more at http://schwab.com/book. You can email Carrie at [email protected] The information provided here is for general informational purposes only and should not be considered an individualized recommendation or personalized investment advice. To find out more about Carrie Schwab-Pomerantz and read features by other Creators Syndicate writers and cartoonists, visit the Creators Syndicate website at www.creators.com.